This royal look wedding dress will make you feel like a true princess. 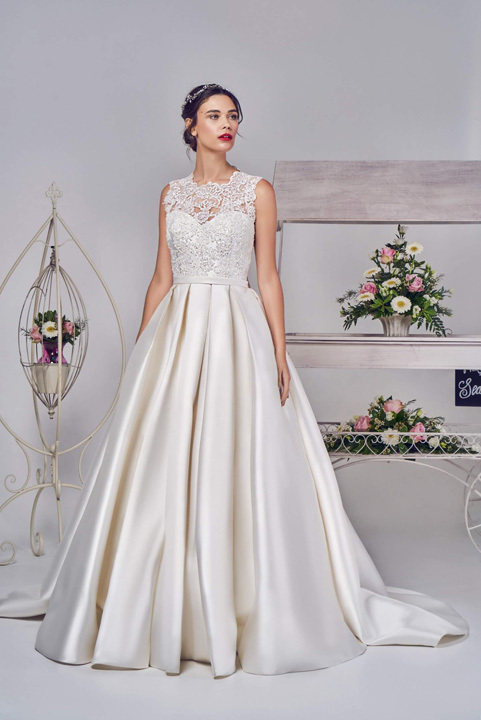 The satin princess ball gown skirt leads round to a chapel length train. Sporting a keyhole back and finished with a large Mikado bow.